Flowable is a business process engine written in Java. In this tutorial, we’ll go through the details of business processes and understand how we can leverage the Flowable Java API to create and deploy a sample business process. Simply put, a Business Process is a set of tasks that, once completed in a defined order, accomplishes a defined objective. Each task in a Business Process has clearly defined inputs and outputs. These tasks may require human intervention or may be completely automated. OMG (Object Management Group) has defined a standard called Business Process Model and Notation (BPMN) for businesses to define and communicate their processes. BPMN has come to be widely supported and accepted in the industry. The Flowable API fully supports creating and deploying BPMN 2.0 process definitions. Let’s suppose we have a simple process for article review before publishing. We create process definitions as XML files using the BPMN 2.0 XML standard. <userTask id="reviewArticle" name="Review the submitted tutorial"
<serviceTask id="tutorialApproved" name="Publish the approved tutorial." <serviceTask id="tutorialRejected" name="Send out rejection email"
While we can create process definition files in any text editor, this isn’t always the most convenient way. Fortunately, though, Flowable also comes with user interface options to do this using either an Eclipse plugin or a Web Application. Now that we’ve defined our simple process in an XML file as per the BPMN 2.0 standard, we need a way to submit and run it. Flowable provides the Process Engine API to interact with Flowable Engines. Flowable is very flexible and offers several ways to deploy this API. Given that Flowable is a Java API, we can include the process engine in any Java application by simply including the requisite JAR files. We can very well leverage Maven for managing these dependencies. Moreover, Flowable comes with bundled REST APIs to interact with Flowable over HTTP. We can use these REST APIs to pretty much do anything otherwise possible through Flowable API. Finally, Flowable has excellent support for integration with Spring and Spring Boot! We’ll make use of Flowable and Spring Boot integration in our tutorial. Let’s now create a simple application that wraps a process engine from Flowable and offers REST APIs to interact with the Flowable API. There may as well be a web or mobile application sitting on top of the REST API to make the experience better, but we’ll skip for that for this tutorial. We’ll create our demo as a Spring Boot application. When we start our Spring Boot application, it tries to automatically load all process definitions present under the folder “resources/processes”. Therefore, let’s create an XML file with the process definition we created above, with the name “article-workflow.bpmn20.xml”, and place it in that folder. As we’re aware that Spring Boot takes a highly opinionated approach towards application configuration, that goes true for Flowable as part of Spring Boot as well. For instance, detecting H2 as the only database driver on the classpath, Flowable automatically configures it for use. Obviously, every aspect that is configurable can be configured in a custom manner through application properties. For this tutorial, however, we’ll stick to the defaults! Obviously, we must replace these dummy classes with actual services to publish an article or send an email. Finally, let’s create some REST endpoints to interact with the process engine and work with the process we’ve defined. Our controller exposes endpoints to submit an article for review, fetch a list of articles to review, and finally, to submit a review for an article. Article and Approval are standard POJOs that can be found in the repository. Now, we’re ready to test our application and process engine. Once we start the application, we can simply use curl or any REST client like Postman to interact with the REST endpoints we’ve created. This should pretty much look like a standard unit test in Spring, except for few annotations like @Deployment. Now, the @Deployment annotation is provided by Flowable to create and delete a process deployment around test methods. While we’ll not cover the details of process deployment in this tutorial, it is worthwhile to cover some aspects that are of importance. Typically, processes are archived as Business Archive (BAR) and deployed in an application. While being deployed, this archive is scanned for artifacts — like process definitions — and processed. You may have noticed the convention of the process definition file ending with “.bpmn20.xml”. While we’ve used the default in-memory H2 database in our tutorial, this actually cannot be used in a real-world application, for the simple reason that an in-memory database will not retain any data across start-ups and is practically impossible to use in a clustered environment! Hence, we must use a production-grade relational database and provide the required configurations in the application. While BPMN 2.0 itself does not have any notion of versioning, Flowable creates a version attribute for the process, which is deployed in the database. If an updated version of the same process, as identified by the attribute “id”, is deployed, a new entry is created with the version being incremented. When we try to start a process by “id”, the process engine fetches the latest version of the process definition deployed. If we use one of the designers we discussed earlier to create the process definition, we already have a visualization for our process. We can export the process diagram as an image and place it alongside the XML process definition file. If we stick to the standard naming convention suggested by Flowable, this image will be processed by the process engine along with the process itself. Moreover, we can fetch this image through APIs as well! It is often of key importance in the case of business processes to understand what happened in the past. We may need this for simple debugging or complex legal auditing purposes. Flowable records what happens through the process execution and keeps it in the database. Moreover, Flowable makes this history available through APIs to query and analyze. There are six entities under which Flowable records these, and the HistoryService has methods to query them all. As we can see, the API to query recorded data is pretty composable. In this example, we’re querying finished process instances by ID and ordering them in ascending order of their end time. Monitoring is a key aspect of any business-critical application, and even more so for an application handling business processes of an organization. Flowable has several options to let us monitor processes in real time. Flowable provides specific MBeans that we can access over JMX, to not only gather data for monitoring but to perform many other activities as well. We can integrate this with any standard JMX client, including jconsole, which is present alongside standard Java distributions. Using JMX for monitoring opens a lot of options but is relatively complex and time-consuming. However, since we’re using Spring Boot, we’re in luck! Spring Boot offers Actuator Endpoints to gather application metrics over HTTP. 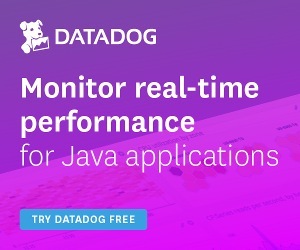 We can seamlessly integrate this with a tool stack like Prometheus and Grafana to create a production-grade monitoring tool with minimal effort. Flowable provides an additional Actuator Endpoint exposing information about the running processes. This is not as good as gathering information through JMX, but it is quick, easy and, most of all, sufficient. In this tutorial, we discussed business processes and how to define them in the BPMN 2.0 standard. Then, we discussed the capabilities of Flowable process engine and APIs to deploy and execute processes. We saw how to integrate this in a Java application, specifically in Spring Boot. Continuing further, we discussed other important aspects of processes like their deployment, visualization, and monitoring. Needless to say, we’ve just scratched the surface of the business process and a powerful engine like Flowable. Flowable has a very rich API with sufficient documentation available. This tutorial, however, should have piqued our interest in the subject!